Summer on the Atlantic coast! 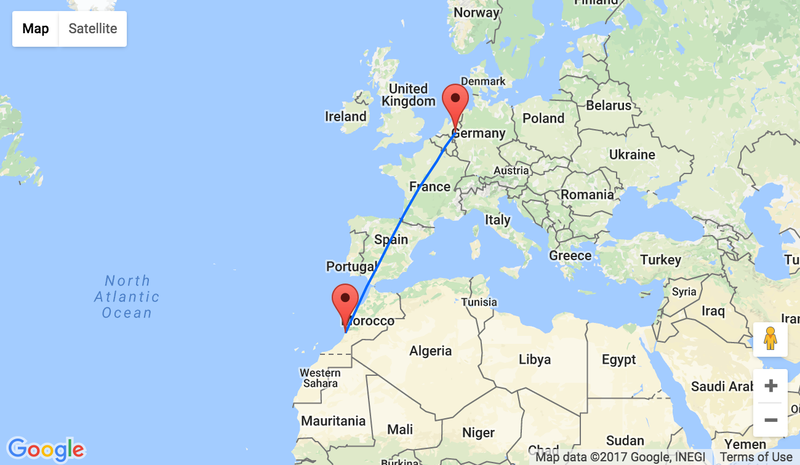 Germany to Agadir for €50! Spend summer days on the Atlantic! Book cheap Ryanair flights from Dusseldorf Weeze to Moroccan city Agadir for only €50 for a round trip! Morocco will definitely amaze you with diversity of its cities and nature! Whatever you choose, either relaxing on the outstanding Atlantic shore or renting a car to explore the country’s distant regions, you will be impressed how historic, colorful and authentic Morocco is. Don’t miss out a trip to the fantastic Legzira beach! This is a must in western Morocco! Huge yellowish red arches over the beach washed by Atlantic waves will make the impression of being on Mars. This is exactly the place to feel the grandeur of the planet Earth! One cabin bag (55 × 40 × 20 cm, up to 10 kg) plus one small bag 35 × 20 × 20 cm. In Agadir we recommend you book Suite Hotel Tilila with good reviews and nightly rate €42/double room!